Please spread the word about this free event. To make a donation to Delaware Citizens Opposed to the Death Penalty, please click on the “Donate” tab at the top right of the page. 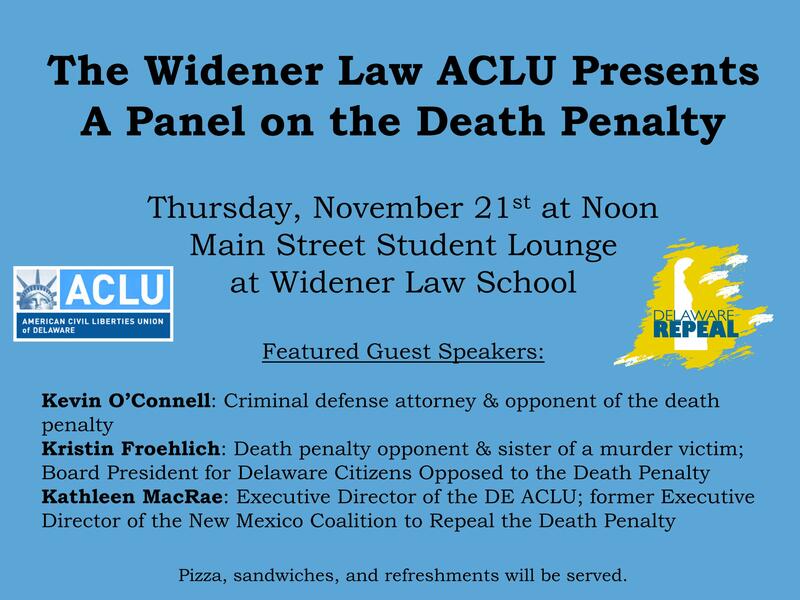 Learn the real story about Delaware’s death penalty and how you can make a difference to end it. The Student Lounge is in the Main Law Building on Widener Law School’s campus, 4601 Concord Pike, Wilmington, DE 19803.